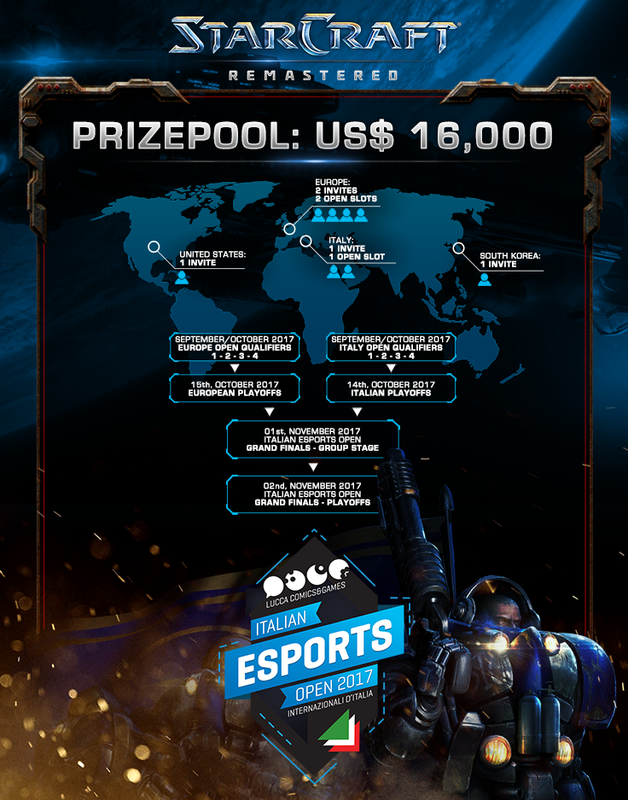 Eight of the best StarCraft players from past and present will battle on the Cathedral stage to determine the champion of the first Italian Esports Open and take home a share of the $16,000 USD prize pool! Italian Esports Open is an international event that involves some of the best players from all over the world in a unique location: the Lucca's Esports Cathedral. The Esports Cathedral is a deconsecrated church (church of St.Romano), which has hosted various events in the past years, located in a unique and suggestive location. A total of five players will be invited to compete, representing Italy, Europe, the United States and South Korea. An additional three competitors will earn access to the offline finals through open qualifiers for Italian and European players. During the course of the 4 Qualifiers, players will rank up and acquire points. The Top 8 by the end of the qualifiers will placed on the playoffs. 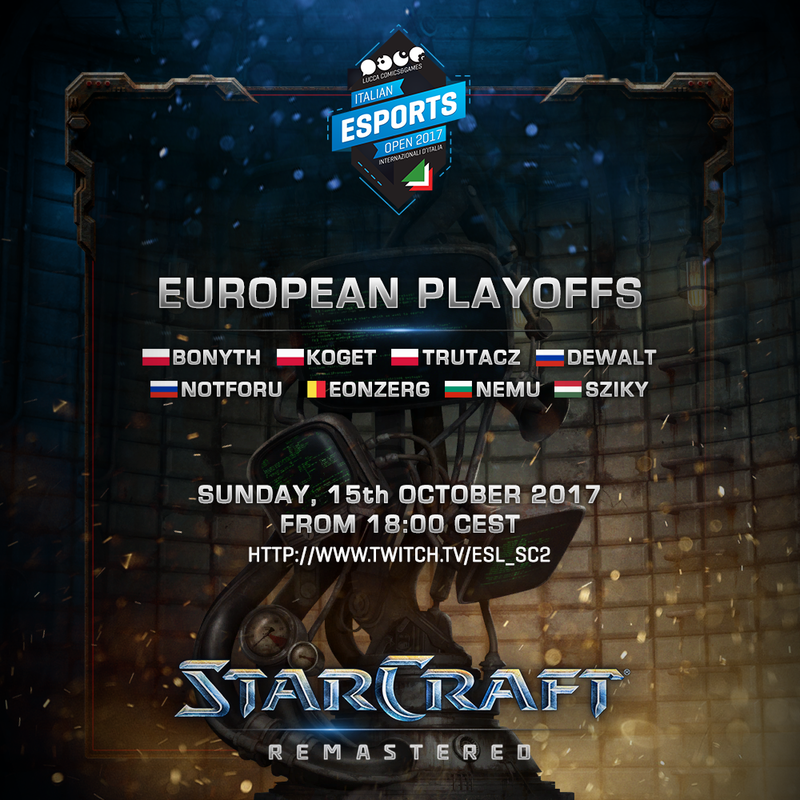 The European Playoffs will seed 2 players into the main event, while the Italian Playoffs will seed 1 player. All travel and hotel expenses for the Lucca finalists will be fully covered by the organization. I hope it's a non-Korean invite from South Korea, because if not, it's going to be a rofl stomp, then the runner up will be determined by the bracket. It's weird that there are only 3 qualifier spots for a $16000 tour, qualifier players are likely to beat all the invites minus South Korea. Liquipedia page is being built as we speak. Is there a date for offline competition? As the graphic says should be 1st and 2nd november. Invite from europe Draco plz! It is on the main image, November 1st and 2nd. I wish to get invited. If I had to guess I would say it's a Zerg. This is great event, but why invite korean players, that makes the others pointless. Big foreign only tournaments will be of huge benefit to the scene. New players will start practice hard for the big prizes, with koreans no one would bother to jump on this. There is still 1000$ difference between 2nd and 3rd. And at least $1000 + expenses paid for everyone who qualifies/gets invited. I am sure people will practice hard for this even if 1st seems out of reach. please invite [sc1f]eonzerg, is one of best Z around (outside Korea)! Wow. My body is ready. But please, reconsider switching the old maps like nostalgia, arcadia and python into some modern ones.. Nostalgia and Arcadia really need to go.